A weekly 30-minute podcast focused on the business of fashion. Fashion Rewired is about the successful transformation of your mind, perspective, and daily approach to your fashion brand. During the Fashion Rewired Podcast, we chat with successful fashion designers and business entrepreneurs who share their powerful stories of success. While providing real time industry tips, tools, and actionable strategies to execute today. With the goal of DESIGNING our listener’s brands for success! 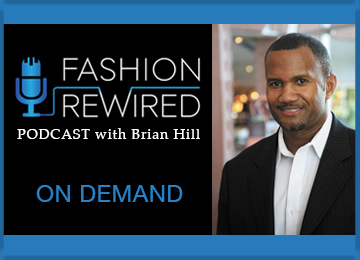 FASHION REWIRED will share those stories of transformation with our listeners and give them the blueprint to REWIRE!